Kids can build these toy cars with just a little help from a grown-up. Here you will find the best plans for making a small, toy car. In this first video, I give you a quick introduction into the various parts you will need to make your Mousetrap Car. In the following videos, you will learn how to build your mousetrap car and see the results. An easy boredom buster. Make two and race them down a ramp of cardboard. A mousetrap powered car is a vehicle that uses a mouse trap for a motor. There are many different ideas but the most common and probably the most successful ideas is to attach a string to the mouse trap and axle or the string pull. The noble goal of the derby is to foster a stronger relationship between the Cub Scout and his parent by working together to create a personalized, custom, one-of-a-kind car from a basic BSA kit. It is hoped that a scout feels pride in his work, enjoys the competition of racing against other scouts, and demonstrates good sportsmanship whether he wins or not. Create a toy car powered by a spring. With a little creativity, the potential energy stored in a common badge retractor can run a fun little vehicle. Take this idea and run with it! Mark Rober, a former NASA engineer, explains how you can use science to succeed at your next pinewood derby. A former NASA engineer explains how you can use science to succeed at your next pinewood derby. 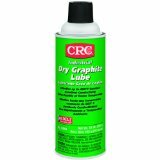 CRC dry graphite lube is a dry film lubricant that is ideal for applications where petroleum products must be avoided. Dry graphite lube bonds instantly to metal, rubber, plastic and most substrates to form a dirt repelling barrier that lubricates and protects the surface from pressure and friction. Withstands temperatures up to 850 degrees F and extreme pressures, as well as water and chemical attack. Contains no known ozone depleting chemicals. Offers effective performance while complying with the EPA regulations on the use of ozone depleting chemicals. Recommended as a general maintenance lubricant on gaskets, transfer belts and conveyor belts; as an assembly lube on motors, plant machinery and handling equipment; and as a general lubricant for high temperature, low load, or high rpm slides, rollers, wheels, gears, chains and hoists.